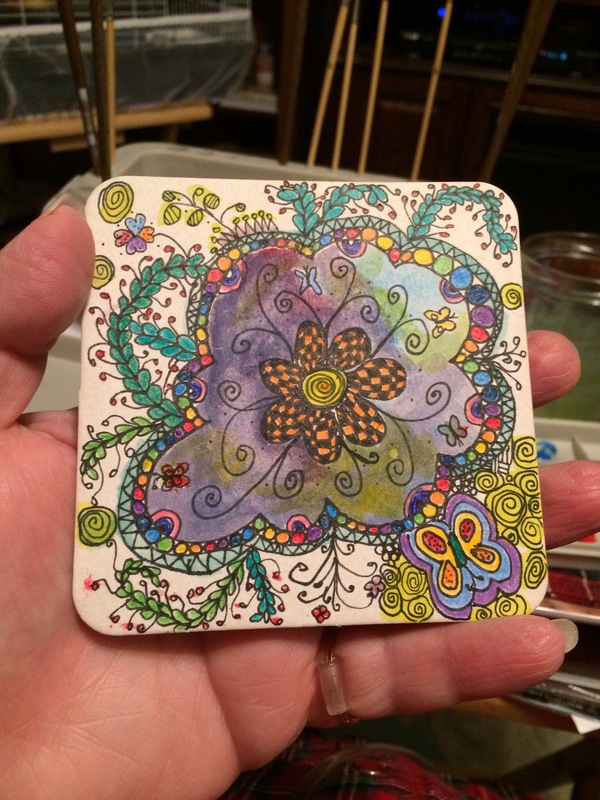 Posted on January 3, 2015 by Kat, aka "ArtyKat"
I finished the work I had listed early on the 2nd. Here it is. Frankly I liked the center white. Live and learn! 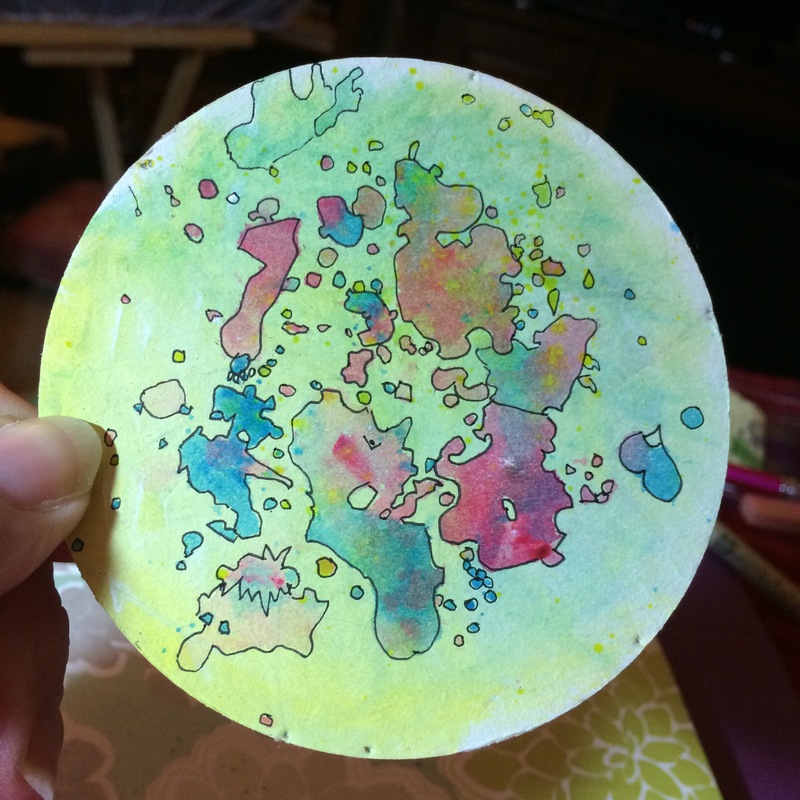 Posted on January 1, 2014 by Kat, aka "ArtyKat"
I am a very new artist when it comes to watercolor (I may spell it “watercolour” as my husband is an Englishman and I married into the language. Trust me, it IS different!). I have been a creative and expressive person all my life, but always looked forward to retirement when I’d have time to myself. I have three adult children (all disabled in different ways) and was a full-time psychotherapist in different settings all my adult life. Now, I have time. I have thrown myself into photography, which I adore, but want to recreate some photo scenes in paint form. My husband has retired early due to disability (me, too… We’re a mess!) but now also suffers from early-onset dementia/Alzheimer’s Disease. This is as demanding on me as raising my children, so retirement doesn’t look like I had imagined. It’s not his fault but instead of stress going down, it is high every day with no days off. 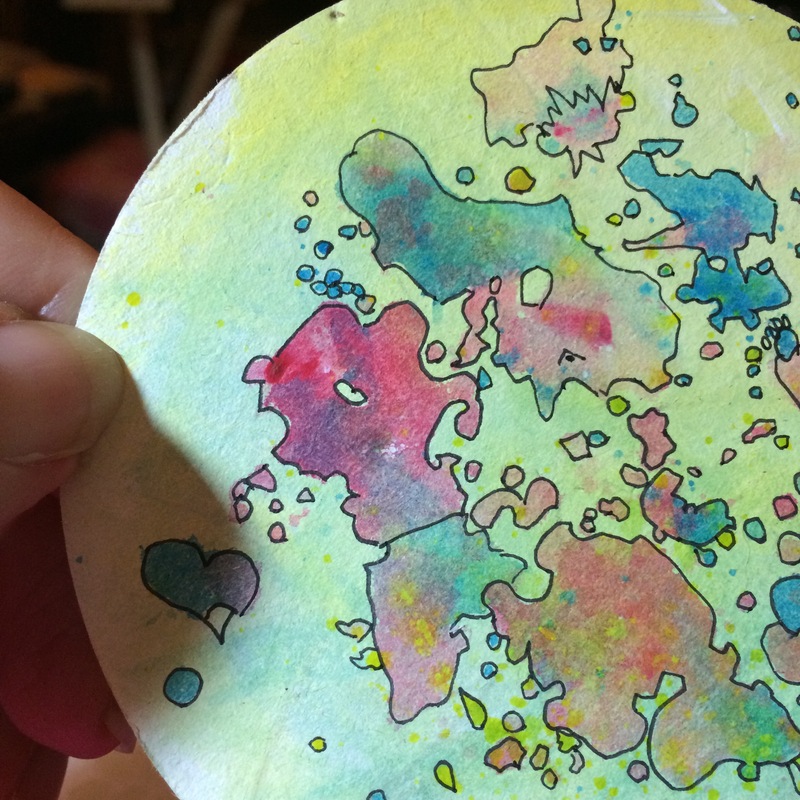 Because of these pressures (my two adult disabled daughters live with us and there is friction at times – A lot, as my husband has unreasonably high expectations of them, and they both like to coast), I am in desperate need of a creative outlet. So, starting now, January 1, 2014 (ok, it’s after midnight but so what) I am dedicating myself to accepting this transition in my life AND making time for creativity! Here is a fast little painting I made for a friend. I know it isn’t a masterpiece, but if I think that way I’ll never create… so I am banishing the horribly mean art critic who demands perfection- she lives in my head- and just DOING it.